Ambien detox is the first phase of treatment for its addiction. It involves the removal of drug molecules from the bloodstream. Because it is very addictive, doctors advise not to stop it suddenly. In fact, if you do so, you may experience more severe symptoms. They call them withdrawal symptoms. As a matter of fact, they say to wean off it step by step to make the withdrawal more tolerable. Medication-assisted Treatment (MAT) forms the mainstay of detox for a very addictive drug. No doubt, the same applies in the case of Ambien detox. 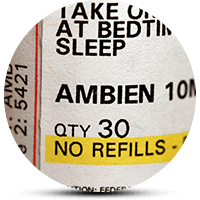 Ambien is a hypnotic medication available only on a doctor’s prescription. It induces sleep in the patients who have problems falling asleep. It increases the activity of a brain chemical. They call it Gamma Aminobutyric Acid (GABA). That way, it causes depression of several brain and physical activities. Ambien Detox: What Are Your Options? You have two options to choose from. First, you can choose to stay at home during the detox. However, you should visit your doctor on a regular basis. The doctor may give you some other supportive medications. This is after evaluating the degree of addiction and severity of the symptoms. In the same way, they also measure your response to the treatment. They call it outpatient service. Such service may be more useful if you are confident in your ability to give up the addiction. As a result, you can do it without much intervention. Next, you can stay at the treatment center. Here, you will have a 24-hours access to various facilities. They include a drug-free environment, therapy sessions, and constant supervision. In addition, you can also have an ongoing consultation with a psychiatrist. This way, you can resolve some of your mental issues. They call it an inpatient service. It may be more beneficial for those who have a high degree of Ambien addiction. Before you opt for any of the services mentioned above, talk to your doctor and family members. Learn enough about the available facilities, and overall cost of the detox treatment. Additionally, you may want to have a background study. This way, you can find out all about the treatment center in advance like their reputation. In any case, make sure to consult all the concerned members before taking a final decision. How Long Will Ambien Detox Last? Normally, a full course of Ambien detox will last for about a week. However, if you have had a long-term abuse, it may run for up to a month or even more. Ambien has a short half-life. That is 2-3 hours. Therefore, it takes about 24-48 hours to completely clear from the body. Nevertheless, various other factors may extend this duration. They include the amount they abused, duration of the abuse, and presence of long-term diseases. For example, diabetes. Most notably, a long-term abuser has to wait for a few more days to get clean. In fact, the rate at which you progress will determine the duration of the treatment. What You May Feel During Ambien Detox? Unfortunately, you will feel very bad. Nonetheless, the pain is worth. This is considering the value of a drug-free life you will have in near future. Intense cravings and loss of sleep are the most common experiences. These unpleasant symptoms occur as your body is adapting. This is a new state where the drug no longer exists in the body. Some of you may also develop seizures during the detox. Therefore, the urges to take it may last for some time longer. However, they will weaken as the time passes. They may give you a Benzo such as Valium if you experience severe withdrawal symptoms. This is since Valium has calming effects on your mind and physical systems. As a result, its use can ease many symptoms. They include sleep problems and cravings. What To Expect After You Complete Ambien Detox Treatment? Congratulations, you have successfully cleared the first hurdle. Now, get ready for the long journey to a sober life. Of course, it will not be easy. But with a sheer determination, patience, and emotional support, you will make it to the end. Manage stress with alternative therapies like meditation, yoga and tai chi. As a matter of fact, they will not treat the addiction. However, they may help to reduce anxiety, ensure better sleep and make you more confident. Take part in a group or individual talk therapy. They call this psychotherapy. One such effective approach is Cognitive Behavioral Therapy (CBT). It makes your problems more manageable by changing the way you respond to a stressor. Many studies have shown CBT is effective in shortening the duration of the treatment. Even more, it has the ability to prevent its relapse. Stay positive even when nothing good comes in the sight. This is far more difficult than just said. Nevertheless, it is worth a try. Follow the routine and do your activities as they advise. Take medications in time. Realize the value of your friends, family, and relationships. A strong emotional support during the hard times will definitely help. In fact, it will make you more confident about yourself. Do not forget the value of good food, quality sleep, and physical activity. The road to recovery may be bumpy and hard. But this is too little compared to what you can feel after you become sober. Want To Know More About Ambien Detox? Addiction centers have a qualified team dedicated to providing you all kinds of necessary services. They will try their best to help you get back to normal life. The team includes well trained and skilled professionals. They include physicians, counselors, psychologists, psychiatrists, and other healthcare professionals. They work together to design addiction treatment plans for your unique needs. Are you or anyone in your family is fighting against Ambien Withdrawal? Get help from experts near you. Click here for more.